Casey Weldon came to Florida State in 1988 as a hometown Tallahassee product who seemed destined for greatness. 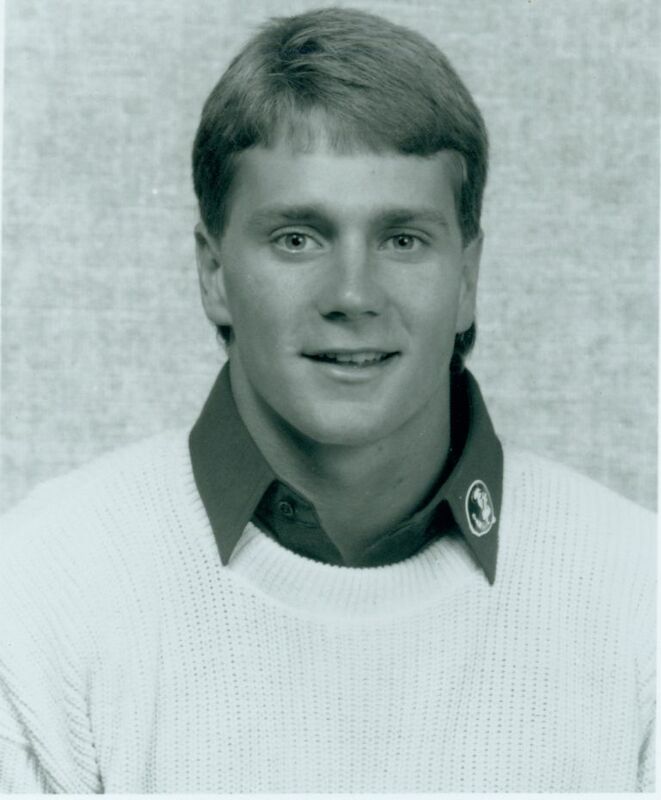 He left FSU as the runner-up for the 1991 Heisman Trophy and with the reputation as one of the Seminoles’ finest quarterbacks ever. Weldon starred at North Florida Christian High School and waited for his chance to lead the Seminoles. As a senior in 1991, He completed 189 of 313 passes for 2,527 yards and 22 touchdowns – all with the pressure that comes from playing for a team ranked number one in the country for the first 12 weeks of the season. He led the Seminoles to a 10-2 record and a win over Texas A&M in the Cotton Bowl. He was named the winner of the Johnny Unitas Golden Arm Award signifying him as the best quarterback in college football. He was named first team All-America by Walter Camp and the Football News among others. Weldon’s 4,643 career yards of total offense ranked as the second highest total in school history when he graduated. He threw 41 career touchdown passes which also ranked as the second highest total ever for an FSU career, and ranked among the top four in six other statistical categories when he left campus. Weldon led the Seminoles to a 16-2 record as the starting quarterback including memorable wins over Michigan, LSU, BYU, Penn State and Florida. Weldon went onto a long career in the NFL, playing for Philadelphia, Tampa Bay, San Diego and with the Washington Redskins at the time of his induction.